Dr. Brad Zwahlen graduated from Brigham Young University in Utah, and then went on to receive his medical degree from the Medical School at Baylor College of Medicine in Texas. He completed his Residency at The Hospital for Special Surgery in New York and his Fellowship at The Sports Orthopedic and Rehabilitation Medicine Associates. Dr. Zwahlen specializes in the treatment of general orthopaedics for trauma, fractures, arthritis, and tendonitis, which includes arthroscopic and open surgery for the shoulder, elbow, wrist, hand, hip, knee and ankle. He also performs total joint replacement of the knee, hip and shoulder. Dr. Zwahlen is now performing ultrasound exams for diagnosis, and assistance with injections in both the Berkeley and Orinda offices. Board certified as an Orthopaedic Surgeon specializing in Sports Medicine and Total Joint Replacement, Dr. Zwahlen has been a valuable member of the medical staff for several prominent Bay Area sports teams. He served as the Assistant Team Physician for the San Francisco 49ers and Stanford University, the Head Team Physician at De Anza College, and is currently the St. Mary’s College of CA Team Physician. In addition to his involvement with sports teams, Dr. Zwahlen has served as the Physician for the San Jose Ballet and Volunteer Clinical Faculty for the UC Davis Medical Center. 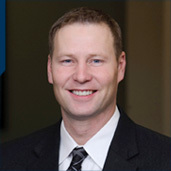 Brad Zwahlen MD is also an active member of the American Academy of Orthopaedic Surgeons, American College of Sports Medicine, American Medical Association, American Medical Society of Sports Medicine and the California Medical Association. His personal interests include spending valuable time with his family and enjoying outdoor recreation.